Charles Edward Marshall, age 89, passed away at the Loch Raven VA Medical Center on Sunday March 17, 2019. He was born on September 10, 1929 in Washington, D. C. to Charles Hamilton and Ruth Eleanor (Bradley) Marshall. Charlie graduated from McKinley Tech High School in the District of Columbia; home of the “Golden Techites.” He served in the U.S. Army where reached the rank of Corporal with the 510th Field Artillery Battalion. While in the army Charlie was stationed in Austria as part of the occupation force following World War II. After his military service Charlie was employed at the Department of Public Works, Public Space Maintenance Administration with the District of Columbia government. On March 27, 1954 he married Marjorie Ann Taylor. Together they had three children, two sons and one daughter. After 35 years of faithful service, he retired at which time he enjoyed playing golf, bowling and being active with his grandchildren. 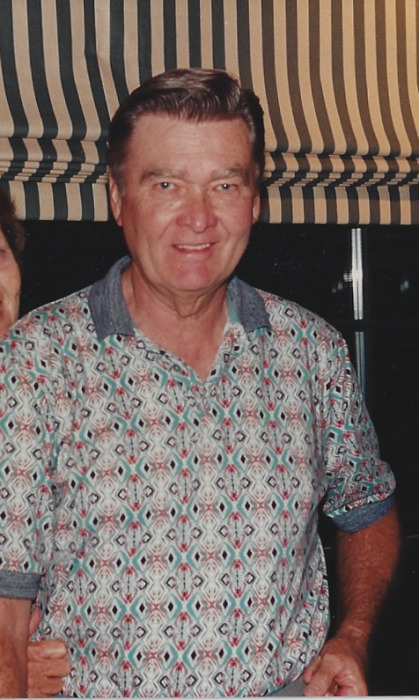 Charlie was an avid golfer and longtime member of the Argyle Country Club in Silver Spring, Maryland. Charlie was also an enthusiastic fan of the Washington Redskins and Baltimore Orioles teams. Left to honor Charlie are his brother George (Babe) Marshall, children John (Sandra) Marshall, James (Christine) Marshall, Nancy Jo (William) Baecker and four grandchildren Kyle Marshall, Cara Marshall, John Baecker and Lauren Marshall. Charlie was preceded in death by his wife Ann. The Marshall family would like to extend our gratitude to the Loch Raven VA Medical Center staff for their attentiveness and loving care. A celebration of Charlie’s life will be held at The Timbers at Troy Golf Club in Elkridge, Maryland, date to follow. Remembrances may be made in Charlie’s name to The First Tee, Howard County Program at https://www.thefirstteehowardcounty.org/.